wellpajamas news - Why did adult animal onesies become so popular? Why did adult animal onesies become so popular? 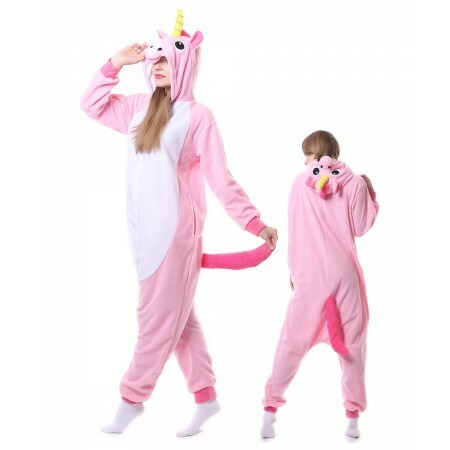 In recent years, the onesies made of anime role in the animation were well received by people buy its multifarious colors and cute looks. For some of Chinese people, the children look lovely when they wearing the animal onesie. But for adults,they are really "odd and abnormal". Even a lot of people think who will spend money on clothes that are not often worn. But in Australia and Japan, people don't think so. Both adults and children like animal onesie clothes very much. For example, when joining in a birthday party or a theme party, many people dress up with animals onesie,dance and sing, make more happy in the party. Many retailers believe that animal onesies clothing are potential products in the next few years, even stocking onesie ahead of time. Why are the animal onesie clothes so popular? In the 90s of last century, the popularity of Japanese animation produced a lot of famous animal characters, such as Picacho in Digital Monster.from then a fashion trend of animal onesie clothes that began as kiguruthe animal-character garb-of-choice for Japanese performers-before its adoption by young hipsters, celebrities and musicians.The word kigurumi translates as "wear a soft toy" and today the androgynous fleecy all-in-ones boast myriad species and character designs including bears, tigers, lions, frogs, sharks, lemurs and, yes, chickens. What to wear for a theme party that a problem,What ‘s the look of the baby when she sees mom and papa wearing a beautiful animal onesies? Don't you want to surprise the baby at their birthday party. I think you probably need an animal onesie.They are a fashion staple.It’s acceptable to wear even during feast-centered holidays. My man bought me one for my birthday, and you would not BELIEVE the level of comfort these guys give you! It’s literally like being wrapped up in a hug, all the time. You’ll never want to take your onesie off because nothing else matches its fuzziness and warmth! Is there anything better than napping? No. It’s acceptable and totally adorable because aww you’re in a onesie! With a animal onesie,You can enjoy a baby's sleep like a deer sleeping in the arms of a mother. With a onesie, you can eat all you want and still feel cute, because like, it’s essentially a giant sweatshirt. Your muffin top will be hidden from the world, and no one can question your lack of trying. Do you notice more and more “chicken, ducks”crossing in the streets? Onesie with animal models is very popular in recent years which is so furry and lovely and kaleidoscopic modeling including bears, tigers, lions, frogs, sharks, monkeys and so on. So, yah, go buy a onesie for you, make your friends buy onesies, join a party and you will enjoy it!